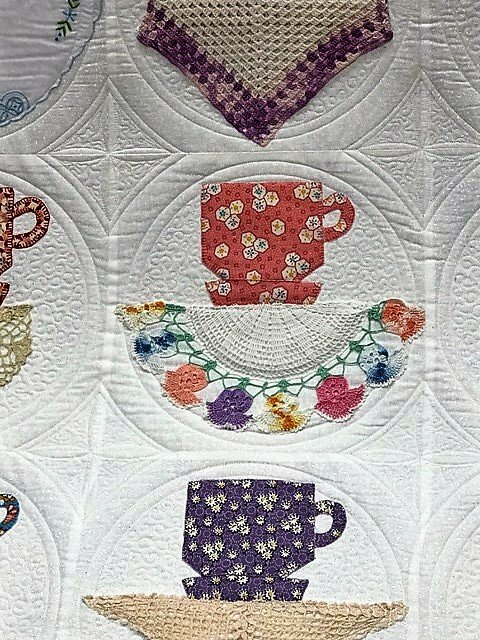 If you've always been curious about doing your own long-arm quilting, but have been waiting for an opportunity to see it dem onstrated live, and have a chance to try it yourself, now is the time! Or...You've bought a long-arm. You've loaded a quilt top. 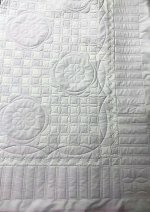 You're ready to quilt - but how? This class will give you some ideas and techniques using rulers to get that top done and excited to do the next! Willa Hensley, from London, KY, will be leading a detailed technique class on longarm ruler techniques. She will share tips and insights based on her experience, demonstrate some of her favorite techniques and even give you an opportunity to do a bit of practicing of your own. Bring a notebook and a pen/pencil to take notes on the wealth of information that will be given. Also, please bring your own lunch! A refrigerator and microwave are available for your convenience. Class size is quite limited due to the one-on-one hands-on nature of this class, so please register here or at The Quilter's Trunk to reserve your special seat!